This study aimed to identify appropriate development and testing strategies for mobile health applications for cancer survivors. In January of 2016, we conducted a PubMed search for mobile applications for cancer survivors. A total of 32 articles were selected for inclusion, including 13 review articles, and 19 articles describing an mHealth application or intervention. We assessed mobile app development and testing strategies and standards as described in these articles. 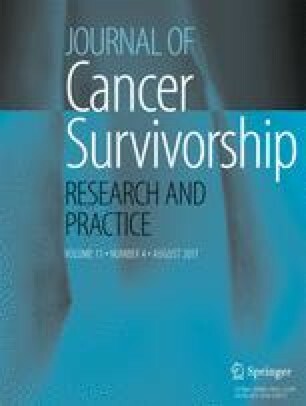 We identified seven elements of patient empowerment applications for cancer survivors, strategies for application development that take advantage of smartphone capabilities, issues for consideration in developing new applications, and steps for creating user-centered mobile health applications that provide meaningful value for cancer survivors. However, few mobile health apps implemented empowerment elements, underwent rigorous design approaches, or included assessment of use in the cancer survivor population. There is tremendous potential for mobile health apps to benefit cancer survivors. However, there are specific issues for consideration in developing new applications and steps for creating user-centered applications which are not routinely used. This diminishes the value for the cancer survivor population but could be easily addressed through standardized development and testing procedures. Smartphone applications have the potential to improve the cancer survivorship experience, but users should look for evidence that the application was appropriately developed and tested. A portion of Dr. Oakley-Girvan’s time was supported by the Stanford Cancer Institute. No other funding was obtained for this study. The findings and conclusion in this paper are those of the authors and do not necessarily represent the official position of the Cancer Prevention Institute of California. The authors declare that they have no conflict of interest. Dr. Oakley-Girvan has stock ownership and provides consulting services for Medable Inc. on unrelated projects.